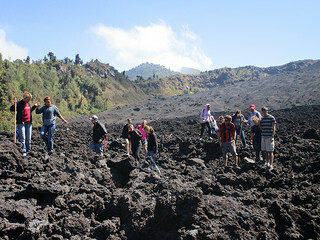 Coming back from free travel was both exciting and an adjustment for our group. After spending one week in small groups away from each other, it was a bit of a transition to come together as one big group again, however, we were all very happy to see each other. 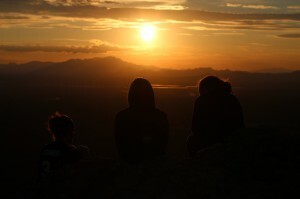 We all shared our adventures and experiences we had on our trips, and afterwards we prepared to go on retreat. Traveling can be many things, all at the same time: stressful, exciting, intimidating, life-giving, etc. For me, this past week touched on all of these things and many more. Our group was one of three that chose Belize as our final destination, but first we had to accept the challenges of getting there. 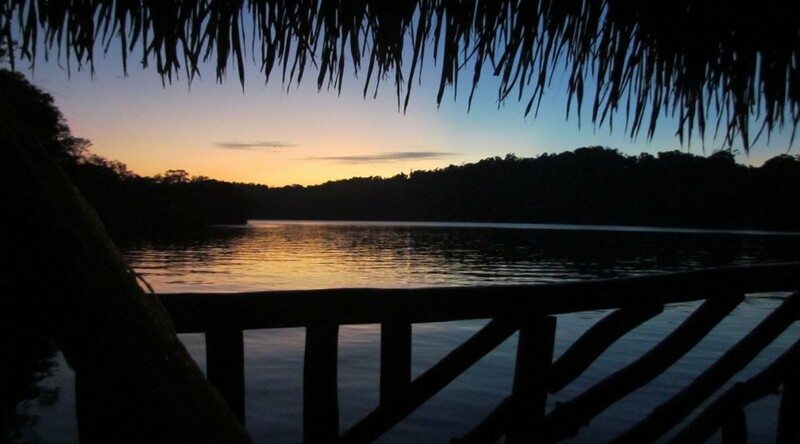 We started with an early morning bus to Puerto Barrios, on the coast of Guatemala. After a late arrival came a hurried trip to catch a not-so-official looking boat to Punta Gorda, Belize. Another late arrival, and we managed to catch the bus towards Hopkins. The journey ended successfully with a four mile, hitched ride into town, hunkered down in the bed of a pick-up truck. The cabana that awaited us was seafront and serene. Palm trees, hammocks, sea water and salty air welcomed us to heaven. Throughout the week we would spend a lot of time enjoying all of these things, but we’d also learn quickly about what makes Belize so unique. How can something that resembles such death smell so fragrant? And how can something that gives and provides such life smell of death? Clusters of brightly colored flowers are neatly parted to reveal a cobble stone path towards the door of the church. The church stands tall and white, while hundreds of us walk through its threshold, the sanctuary opening up before us. Wooden trellises and benches, candles, altars, and images of Jesus: some of these things I find foreign, others beautifully familiar. A few of us crowd onto a bench near the front. I am chilled by the cold air, but curious. A woman in front of me covers her head with a piece of brightly colored cloth. Urgent whispers of petition and reverence and gratitude come from behind. A man places burning candles in specific patterns with care. Many rituals, many minds, one purpose. Fresh mangos and rooftop porches. Stacks of colored houses surround the alleyway. A church bell rings in the distance. Mama turns up the radio. I step outside to see the sunset. Stained-glass colors fill the sky. Children dart around corners, mothers hush their little ones. My brother emerges from around the corner. He hurries up the steps, laughing, chatting excitedly on the phone. He offers me a wide smile and a quick kiss on the cheek before stepping inside. I take a deep breath and smile. Today, I’m thankful for a healthy mind, the ability to learn, and the privilege of studying and living abroad. As a group, we keep having these moments; moments where we once again recognize that we are on cross-cultural. It sounds cliché, but each time it seems just as incredible and impossible as the last time. This past weekend, we certainly experienced those moments. 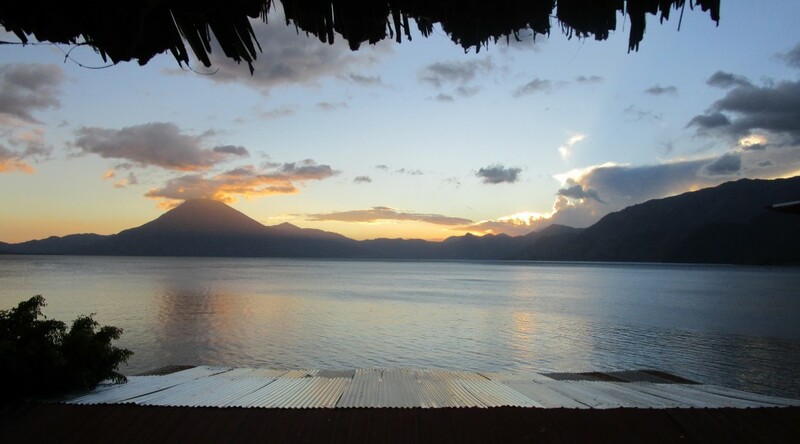 On Friday after a short morning of Spanish classes we loaded up the bus and traveled to Lake Atitlan, Guatemala. After slowly swerving through the bumpy roads and a minor accelerator mishap, we arrived in Santiago. 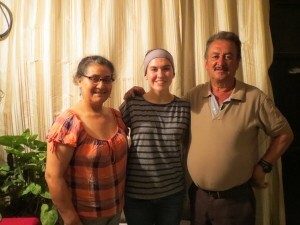 We checked in at Posada Santiago, and all eagerly went exploring the new area. The hotel overlooked the beautiful lake, surrounded by volcanoes and low clouds. We walked into town, and there were countless comments made about wanting to live there. The town is quaint and quiet; the people are friendly and sincere. Somehow a few of us ended up walking through some small alleys and dirt paths, and we eventually found ourselves on a dock over the lake, with wooden canoes lining the shore. Behind the canoes were “fields,” little gardens/farms, beautiful in the remote area. We walked a ways and encountered three gentlemen who told us they live and work there in the fields and fish on the lake. It was not a super important conversation or about anything in particular, but striking up a conversation in Spanish with people from the town was awesome. It feels great to be able to use our Spanish conversationally. In the morning, we visited ANADESA, a community development association and co-op run with aid from MCC. This co-op began after Hurricane Stan in 2005. ANADESA provides a space for women to come together for support, and also to learn and improve skills to better their community. There are also language classes and programs for children. There was a lot of devastation in this area, but there is also a lot of hope and courage in the people there. We took a ferry across the lake to San Juan La Laguna and toured an organic coffee plantation, Cooperative La Voz. It was great to see how such a huge commodity goes through the process of ending up as a warm beverage in my mug. We took the ferry again to Panajachel where we spent the night. Dinner along the lake with the sun setting was gorgeous and the time together was appreciated, as always. 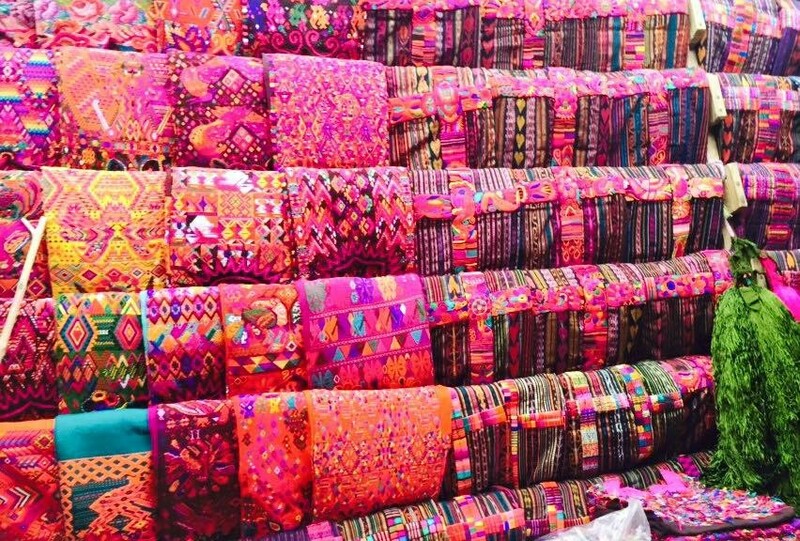 There are many street vendors in Panajachel and many of us made use of that and made purchases for ourselves and those back home. My favorite part of bargaining is when I’m able to actually talk with the vendors and maybe learn a thing or two about them. This trip has taught me a lot about the importance of human relationships and how life-giving they can be. We returned to our homes on Sunday evening, exhausted from a full weekend of learning, and most importantly, building relationships. Homework of course waited until Sunday night, but in my opinion, taking the time to get to know those I’m traveling with better is always worth a little less sleep. We do not have much longer with our host families, so we’re trying to soak in as much as we can about our environments and really be present during our time here. Personally, it will be difficult to say good-bye to my family, and most of the group is experiencing those sentiments as well. We are studying in Guatemala City for only one more week, and by next Thursday, we will all head our separate ways for a week of free travel. I feel I have learned a ton of Spanish, more than I imagined I could in this time, but my mind is also ready for a break and a time of relaxation. We are all looking forward to what the rest of the trip has to offer. This past week, most of the group’s attention was on our Thursday midterm exams. Everyone was very relieved when they were over. We also had a birthday to celebrate, which helped lift moods. The leaders even got a piñata, pizza and cake. Everyone spent the night at CASAS because we were leaving early the next morning. Though celebrations are fun, most were happy they had gone to bed early when we left at 4:30 a.m. for Tikal. 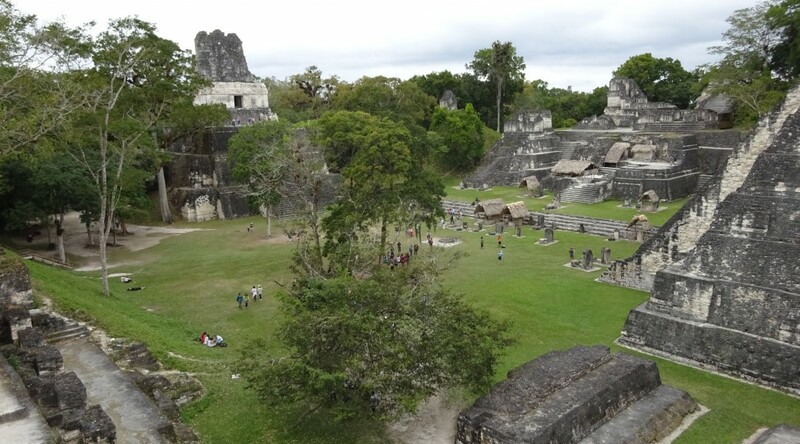 The Tikal weekend was a major highlight of the trip for many of the students. We flew in a small plane into Flores. Flores is a city in Petén, a densely forested, hot and humid region of northern Guatemala that takes up about one third of the country. As soon as we landed we got on a bus that drove us to Tikal. The ancient city of Tikal once housed Mayan royalty and many travelers from all reaches of Central America. Now it is a park where people can come to see and learn about the ancient ruins. One of the most famous ruins, seen behind the group, is called the Jaguar Temple because there was a statue of a jaguar at the top. Unfortunately we did not get to climb it, but we did climb all the other ones that we were permitted to. Seeing and climbing the ruins of Tikal was a lot of fun, but after 4 or 5 hours running around in the sun learning about Mayan history, everyone was tired and ready to relax at our hotel. We were surprised by the beauty and comfort of our hotel where we would be staying for the next two and a half days. The Gringo Perdido (which translates to “lost foreigner”) is a gorgeous and simple hotel next to a lake. It has a variety of rooming options that felt like they were outside. There was delicious food, beautiful docks, and lots of hammocks to relax in. A favorite activity for many of us was to spend evenings on a roof star gazing. We saw countless shooting stars and could even see the Milky Way. The weekend was full of relaxation, beautiful sun rises, swimming in the lake, and good conversation. There was a town near the hotel and on Saturday and Sunday everyone took a break from swimming to walk half an hour into town to eat lunch. Though it was very relaxing weekend, the group also found lots of fun things to do. Some found a rope swing over the lake and played on that for about an hour. 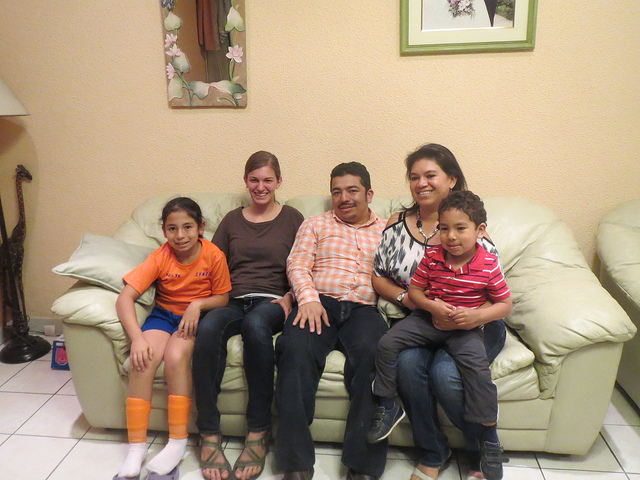 A Guatemalan family stopped their car and watched, one girl even joined. Some people went on hikes through a protected forest to a beautiful lookout and others took horseback rides through mountains and the country side. The hotel’s kayak had a waiting list almost all weekend and barely spent any time on dry land. But the most exciting moment happened on Saturday morning during breakfast, courtesy of Kevin Treichel. We were asked to stop eating, come outside and stand on one of the docks. Most of us were pretty confused. But when we saw Kevin standing on the other dock and Bethannie Parks walking out to him, it became pretty evident what we were witnessing. After a few words and an awkward wave to us from Bethannie, Kevin got down on one knee and proposed. Many of us had tears in our eyes and felt lucky to have been a part of such a special moment in their lives. Kevin said he wanted the group involved because he had grown close to us and said we were important enough to him he wanted us there. After that the weekend couldn’t really go wrong. The worst part of it was leaving to go back to classes. I can personally say that the weekend in Tikal was one of the best weekends of my life. This week marks the start of the second term of classes here in CASAS. It’s hard to believe that we are already halfway through this semester. It seems like we have been through a lot since we left, but at the same time it feels like our trip is zipping by. As I reflect on the past few weeks, I notice a multitude of wonderful, one-of-a-kind experiences that are shaping me, and will help guide my future. Some are easily described and some are not. Over the weekend, we spent time away from the city in order to have some relaxation and rest. 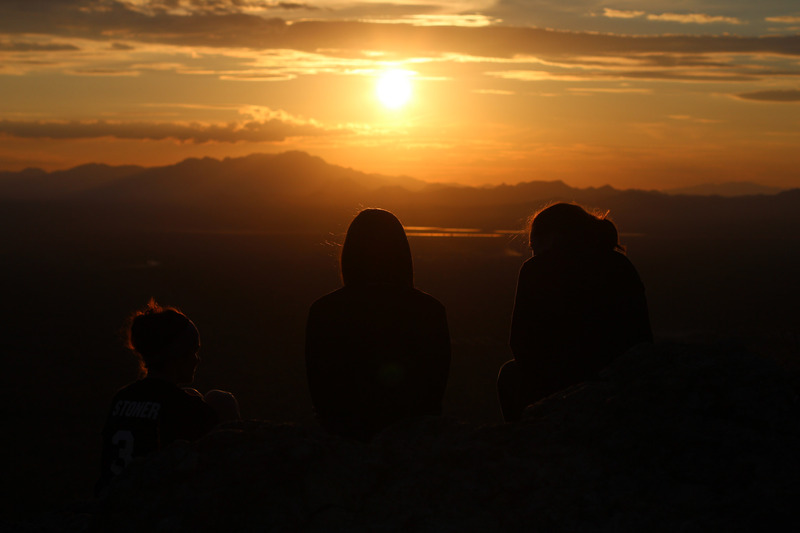 A group of friends and I decided to wake up before the sun and climb a nearby mountain to get a cool view of the sunrise over the lake where we were staying. The next morning, we hiked through the Guatemalan jungle for 45 minutes, and arrived at the mirador (viewpoint) while it was still dark. As the sky began to get lighter, Kevin suggested that we take five or ten minutes to watch in silence. For the next 30 minutes we watched the sunrise and listened to the birds and the howler monkeys without saying a word. It was one of the most beautiful things I have witnessed. The colors of the mountains, lake, and sky grew and blended as the sun changed position. It is hard to explain what made it so wonderful. Our silence created an atmosphere that was even more indescribable. It was definitely a one of a kind moment; something that I cannot easily share with anyone but the people who were there. Cross-cultural has given me a lot to bring back and share with my community in the states. This includes knowledge about culture and customs, information about social justice problems and new ways the church can care for the poor. Some things I have received will be harder to share. I pray that as my life is enriched by moments like the one on the mountain, I will continue to carry a sensitivity for those with different experiences. From the images of the suffering Christ visible on the walls of ancient cathedrals, to the presence of wooden crosses hanging above front doors, it is evident that religion is a large part of culture here in Guatemala. This past week, the visits and discussions have centered around religious expression present throughout the country. On Tuesday, Fabian Cabezos, a Bible professor here at Semilla, spoke about the Neo-Pentecostal movement in Guatemala and discussed the main characteristics that differentiate Neo-Pentecostal churches from others, specifically Pentecostal churches. Later in the week, we had the opportunity to visit a well-known mega church, Casa de Dios. We received a tour of the facilities and learned that it houses around 12,000 people, with 2 services every Sunday. On Friday, Rafael Escobar, dean of the seminary at Semilla, discussed the history of Mennonites in Guatemala. The presentation was intriguing, as many of us learned that the church was founded on Dispensationalism and some Mennonite churches continue to practice it today. The majority of the group attended the morning service at Casa de Dios, along with thousands of others. Several students also attended Casa Horeb, a small Mennonite church in the city. This past week was full of new information and experiences that will hopefully continue to help us gain a better understanding of the lives of those around us. To have an opinion about a church is not an easy thing to do, especially when it is a church as big as Casa de Dios. The church is huge. While the designer said it was made to feel small, I wonder if her definition of small and mine are different. Sunday’s service was an interesting experience. The music reminded me of a Christian rock concert I went to once. It was a fun mix of fast and slow songs. The pastor’s wife also led a prayer and told us about providing for the church through the message of a passage in I Timothy. 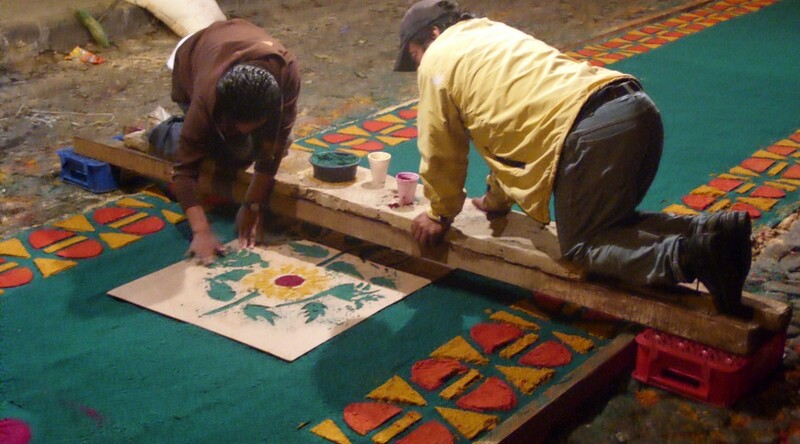 The main focus of the service was a comical version of Romeo and Juliet or in Spanish Romeo y Julieta. It was really funny, at least the parts that I understood. I am not sure what Romeo and Juliet has to do with God but it was a well-executed performance. Compared to the other two churches I have been to here, it has its’ own unique style. It is almost nothing like the Catholic Church, with the Mayan flavoring, we went to in ChiChi. While that one seemed very solemn and ritual based, this one was upbeat and lively. The music was similar to the Pentecostal church my host family goes to. There also seemed to be a sense of emotional release shared between the two. However, neither of the others would have performed a comical Romeo and Juilet for the main part of the service. In total I feel like there must be something people like about this church and God must be present somehow. Personally I don’t feel like I would get much out of such a large church. To me church is about community as much as it is about God. I just don’t see how community is possible in a church that large. My time here in Guatemala has been filled with sights & sounds that have provoked countless questions and exposed me to ways of life previously unimagined. From the abundance of candles and the aroma of burning incense at mass in Chichicastenango, to the flashing lights accompanied by bass guitars resounding in the auditorium of Casa de Dios, contrast has been an ever-present theme pressing on my mind. I find it difficult to refrain from comparing what I am experiencing to the images I carry in my mind of life in the U.S. An even greater challenge has been trying to consciously push thoughts of “Well, in the U.S…” aside while trying to fully experience things as they are. Images I carry in my mind, as well as numerous advertisements lining the busy streets of Guatemala referencing Western lifestyles, are constant reminders of the unfamiliarity I am experiencing, as well as the familiarity I long for. By resisting the natural urge to categorize and compare solely based on previous knowledge, it is my hope that I will be able to fully experience Guatemala with an open mind and a willingness to learn. While this would be the ideal way in which I would continue my time here in Guatemala, I realize that the images I carry in my mind are there to stay. I have come to understand that talking with others about contrasting ways of life is a healthy part of processing my experiences in Guatemala. At first, I wanted to build off of a blank slate, but I quickly discovered this was an unattainable feat. Synthesizing is defined as combining many things to create something more complex, and this process has been important for me to keep in mind. Instead of desperately searching for familiarity and simplicity, I am slowly learning that it is through attempting & encouraging, asking & observing, and finally, listening & receiving that I am able to combine my own images with those around me to create a powerful complexity that remains open to exploration. 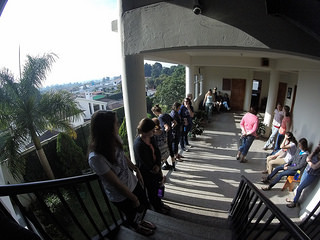 After another week in Guatemala, we are all adjusting more to Spanish classes, host families, and the culture here, and it seems our bodies are finally adjusting more to the food – praise the Lord. One of the many great aspects of this trip is the opportunity to spend 2 months becoming part of a family and a culture. While each of our host family experiences is very different, I’ll give a little glimpse into mine so far. Upon first arriving with my new family to my new home, I stepped into a house full of people and about fifteen 9 year old girls running around. Little did I know when I had to leave CASAS early because my family was in a hurry that this was what I was about to come home to. I said a quick prayer asking for strength and jumped on in. As soon as my luggage was in the house, my little sister, Dina, grabbed my hand and pulled me into a circle of girls. I was seated on a stool in the middle, handed a microphone, and began singing karaoke to “Let it Go” from Frozen, while my mom pulled out the iPad to record. I jumped right in, that’s for sure. The rest of the evening was spent running around learning games of tag and hide-and-seek with the kids, and then of course, learning the proper Guatemalan way to give a kiss on the cheek while saying goodbye to every single family member as they left after the party. All of this while trying to use my very broken and slightly flustered Spanish. My first night with my host family was definitely overwhelming, but looking back, it was so much fun, and I feel so blessed to immediately have been accepted into such a welcoming and loving family. I have two wonderful parents, and in addition to Dina, I have a 4 year old brother, Sebastian. The craziness of that first night was a pretty good representation of life with my host family. Multiple mornings have begun with my siblings jumping on my bed around 5:00 or 6:00 a.m., and many nights have ended after playing soccer, Uno, Just Dance, FIFA, or being at my grandparent’s house late. It’s definitely high energy, but I am loving my time learning more about my family and also about myself. After a fun weekend in Chichi, I was surprised by how excited I was to see my family again and the comfortableness that set in again upon returning home. 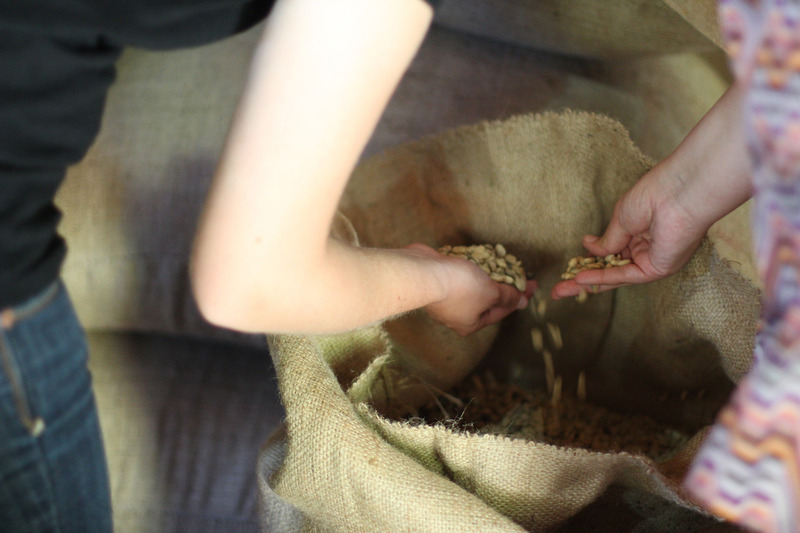 From our time in Chichicastenango, our visit to the Widows’ Co-op has stayed on my mind. One of the women shared with us about what they have been through in the past 30 years or so. In the 1980s, Guatemalan military soldiers came to the highlands looking for other soldiers. When they weren’t found, the soldiers began killing the innocent people of the towns, and the people didn’t even understand why. Many fled to the woods, but the men, women, and children found in their homes were killed. For not agreeing to join the civil patrol organized by the military, this woman’s husband was tortured and killed. Along with others, she fled to the capital and lived there awhile until it was safer. Upon returning after all the violence, there were 85 women who were widowed and left with no money or food for their children. 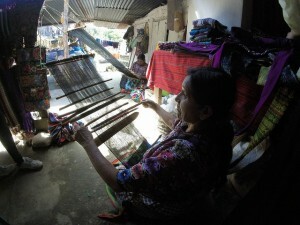 The Widows’ Co-op has helped them to be able to use their weaving skills and sell what they make for profit. It was hard to hear of the violence, tragedy, and hardship they have been through, and I’m still frustrated at the injustice and trying to process what we heard. However, it is encouraging to hear how strong these women have been and how they turned their situation into one of hope. The pride in their smiles and faces as we talked with them and as they showed us their beautiful handiwork is not something I will easily forget. We’re reading from a book by Henri Nouwen, a Dutch priest who lived in Latin America for a time, who wrote: “At this moment I cannot think of myself as someone who has anything to offer – I feel like someone surrounded by experts – but I am willing to live with the supposition that he who truly receives also gives.” That quote perfectly sums up how I feel. I’ve been at war with myself this whole cross-cultural. It’s a battle between giving of myself or receiving from others. Giving my advice, comfort, perspective, etc. … or simply receiving their stories, food, culture, their way of life. I want to give; I want to be a blessing. Never in my life have these two things been impossible. But now I am in a childlike stage where I am continually learning, needing guidance and help, and unable to communicate with ease. I’m beginning to realize that maybe this isn’t a bad place to be though. I’m realizing that being present, curious, and willing to try the unknown is enough of a gift – and not usually an easy one to give. Throughout the big transition from the U.S./Mexico border to Guatemala, we experienced many different emotions. Coming off of such a full and difficult two weeks, we felt we had seen so much but hadn´t done anything about it to help. One evening we talked to a Christian border patrol agent, who challenged us with the thought of whether or not it is legal to be a Christian. We didn’t want to forget what we’ve experienced at the border, but at the same time wanted to be present in Guatemala with our host families and at CASAS. The first full day at CASAS was new and exciting, yet a little intimidating because we had our Spanish placement tests and our first Spanish class. Most classes have only two students, with the largest having four, so we have pretty personal attention. 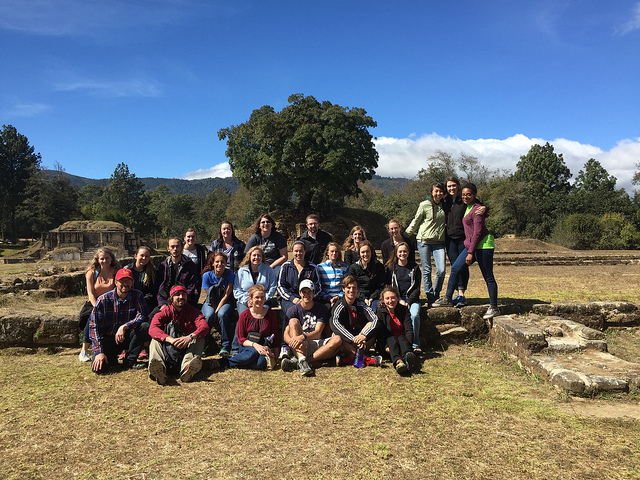 We have 3 1/2 hours of Spanish class every morning, usually a class or fieldtrip with the entire group in the afternoon, and the evenings are spent with host families. It has been fun to come to school each morning and tell each other how our evenings went, because each person’s experience is completely different. Some educational highlights have been our trips in the afternoons. Monday afternoon the group went to the Central Plaza and toured the green National Palace, which is where the President has his meetings. It took up an entire block and held a lot of history inside, with murals depicting Mayan and Spanish conflict, statues representing peace treaties, and the fingerprint of a president in the handle of every door. We also walked around the area a bit to learn about different historic places. On Tuesday afternoon we went to the National Cemetery, which also helped us learn about the effects of many different countries and cultures on Guatemala, including the Chinese, South Korean, and German. The richer families are able to buy a plot and build a structure for the entire family, but the poorer people rent out a grave stacked above ground, with their families paying a certain amount every year for fourteen years, and after fourteen years the remains are moved so the spot can be rented to someone else. Adjacent to the cemetery is the national landfill, where many men, women, and children work (and used to live), sorting through the trash for recyclables to sell, most only making around 10 Q. per day (about $1.25). We learned how several people have died doing this dangerous work, but they have no choice. The second half of the week was full of physical discomfort, and consequently a few free afternoons, as nearly every single person in the group strangely got sick over several days. It turned out to be a bonding experience, but we´re all still trying to recover from that. 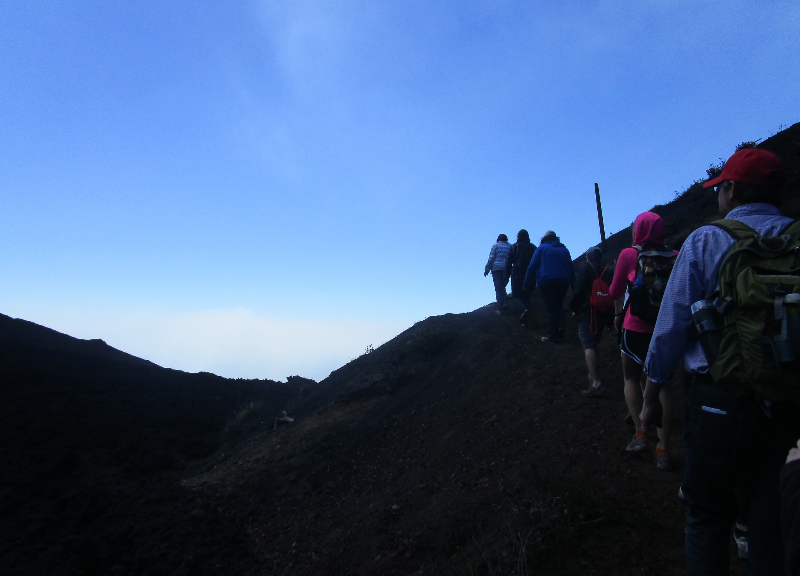 Most of us, however, were feeling well enough to hike the Pacaya volcano on Saturday. Though it was a steep climb up (and was a little harder because of the altitude and the fact that many of us were still a little weak from sickness) the view of the crater, the valley, and the neighboring volcanoes was well worth it. We walked on the hardened lava and saw the effects of the huge 2010 eruption as well as the one just last year. We experienced Mayan makeup, many native plants, and roasting marshmallows from the heat of the volcano. Overall we’ve experienced and shared laughs, tears, hugs, and unforgettable memories this week, and wouldn’t trade them for anything. I have learned so much this week about myself, the group, and the Guatemalan culture. Guatemala City is absolutely beautiful, but I still find it strange how it very suddenly changes from a gorgeous green wilderness to very urban. I learned that safety is also very relative to culture. My first weekend and week with my host family felt very overwhelming because I couldn’t understand much at first, and translating everything in addition to a full day of learning and seeing new things, learning the bus route, and doing homework drained my energy quickly. I’ve already noticed, however, a significant improvement in how much I understand and know, and my list of new vocabulary words is ever growing. To sum up my week in the form of senses, here’s what I noticed: the green valley amidst the rushing traffic, the warmth of the sun, the look on many homeless people’s faces when we passed, the stares I’ve gotten because I stand out, the feeling of a much-needed hug from friends, my baby brother’s smile, dancing, and funny gestures, the loud and abrupt song of strange birds, the roar of the buses, the strong smell of someone’s cologne, the shouts of people in the street, the loud voice of a man proclaiming the gospel on the bus, the sounds of Spanish songs, the taste of good food, feeling weak and tired, the smell of the smoke of a volcano, and the feeling of being so overwhelmed I want to go home but battling through it and seeing how God was carrying me through it all. Our group arrived in Tucson, Arizona on January 8th shortly after midnight, and we spent several days in a hotel there while beginning our study of immigration issues at the US/Mexico border. 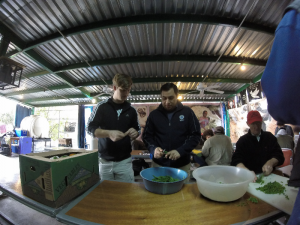 Our first activity on the morning of the 8th was crossing the border to visit El Comedor (a soup kitchen just across the border in Nogales, for newly deported migrants). We also heard migration stories from several women being protected in a woman’s shelter there in Nogales. For being our first day, it was flooded with a lot of emotional heaviness. The next few days included visits to two different detention centers in Arizona, where a few of us got to speak with the detainees, a beautiful hike in Saguaro national park (where the biggest challenge was avoiding the Jumping Cholla cactus), and some much-needed relaxation time at the hotel. Sunday morning after church and lunch with members of the humanitarian project “No More Deaths”, we set out for Agua Prieta, where we spent a week in a community center just a short distance from the wall, which we visited several times. We experienced shopping on a maquila (factory) worker’s salary and cooking dinner and breakfast together, visited a drug rehabilitation community, heard from several passionate speakers on border issues, and participated in a vigil for those who have died crossing the desert in Cochise County. We visited a border patrol facility at the end of the week and heard their perspective as well. 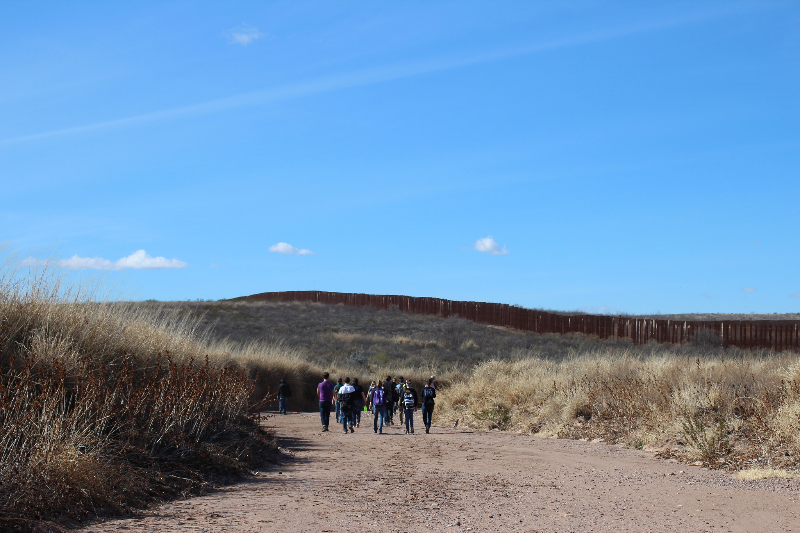 Our time at the border included a lot of U-turns, bathroom stops, and Spanglish as our group starts to get to know each other and figure out the sometimes chaotic schedule of each day together. The biggest lesson I have learned this week is that I have grown up with an immense amount of physical comfort, and that what I have to go back to in the US is a privilege. I’ve never been out of the country before, and having a toilet that flushes every time and a sink I can drink and wash my hands from are things I’ve taken for granted for the last twenty years. I’ve also been privileged to live my whole life in the safety of Harrisonburg, and this week my sense of security has been challenged, too. Early Wednesday morning, a couple of us woke up to [what sounded like] machine gun fire nearby, and I had trouble falling back asleep, even though Agua Prieta is pretty safe during the day. I’ve definitely been appreciating all of the prayers and support being sent our way. We will be heading to Guatemala mid-week to begin the next part of our trip, and I think we’re all looking forward to meeting our host families and developing a more steady and relaxing routine there.